Is Illinois Tool Works Inc. (ITW) A Good Stock To Buy? Investing in small cap stocks has historically been a way to outperform the market, as small cap companies typically grow faster on average than the blue chips. That outperformance comes with a price, however, as there are occasional periods of higher volatility. The fourth quarter of 2018 is one of those periods, as the Russell 2000 ETF (IWM) has underperformed the larger S&P 500 ETF (SPY) by nearly 7 percentage points. Given that the funds we track tend to have a disproportionate amount of their portfolios in smaller cap stocks, they have seen some volatility in their portfolios too. Actually their moves are potentially one of the factors that contributed to this volatility. 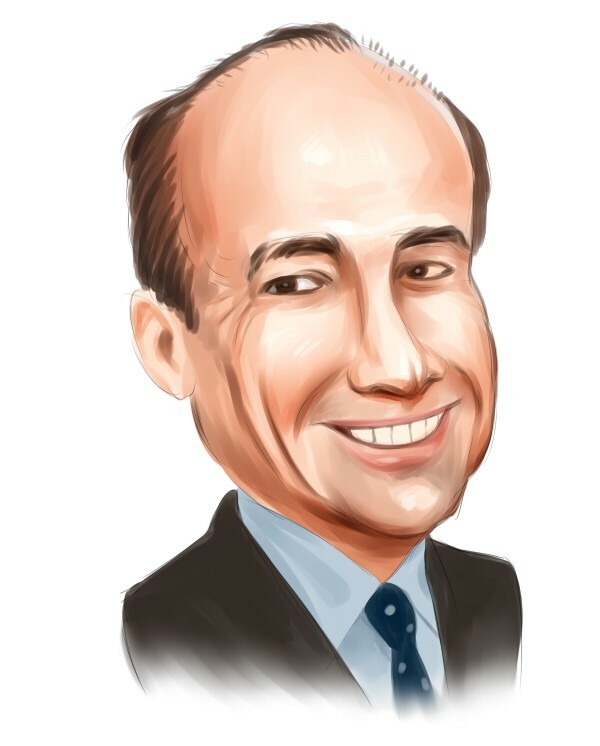 In this article, we use our extensive database of hedge fund holdings to find out what the smart money thinks of Illinois Tool Works Inc. (NYSE:ITW). Illinois Tool Works Inc. (NYSE:ITW) investors should be aware of an increase in hedge fund sentiment in recent months. 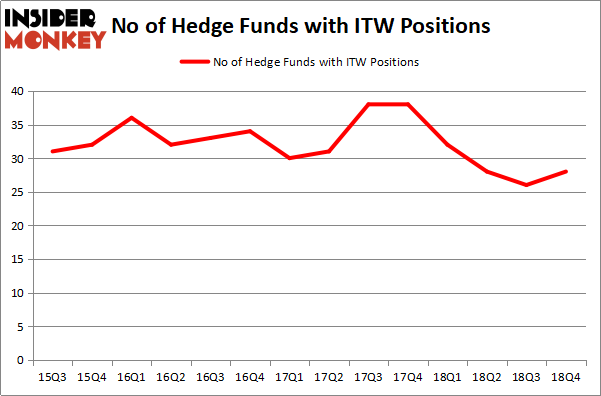 Our calculations also showed that ITW isn’t among the 30 most popular stocks among hedge funds. We’re going to take a peek at the key hedge fund action regarding Illinois Tool Works Inc. (NYSE:ITW). At Q4’s end, a total of 28 of the hedge funds tracked by Insider Monkey were long this stock, a change of 8% from the previous quarter. Below, you can check out the change in hedge fund sentiment towards ITW over the last 14 quarters. With hedgies’ capital changing hands, there exists a few key hedge fund managers who were adding to their holdings meaningfully (or already accumulated large positions). The largest stake in Illinois Tool Works Inc. (NYSE:ITW) was held by Ariel Investments, which reported holding $46.1 million worth of stock at the end of September. It was followed by Gotham Asset Management with a $36.9 million position. Other investors bullish on the company included AQR Capital Management, Ashler Capital, and Markel Gayner Asset Management. As one would reasonably expect, key hedge funds have jumped into Illinois Tool Works Inc. (NYSE:ITW) headfirst. Ashler Capital, managed by Matt Simon (Citadel), initiated the most outsized position in Illinois Tool Works Inc. (NYSE:ITW). Ashler Capital had $34.1 million invested in the company at the end of the quarter. Clint Carlson’s Carlson Capital also initiated a $22.2 million position during the quarter. The following funds were also among the new ITW investors: Alexander Mitchell’s Scopus Asset Management, Sander Gerber’s Hudson Bay Capital Management, and John D. Gillespie’s Prospector Partners. Let’s go over hedge fund activity in other stocks similar to Illinois Tool Works Inc. (NYSE:ITW). These stocks are Bank of Montreal (NYSE:BMO), ING Groep N.V. (NYSE:ING), Infosys Limited (NYSE:INFY), and Zoetis Inc (NYSE:ZTS). All of these stocks’ market caps match ITW’s market cap. As you can see these stocks had an average of 21 hedge funds with bullish positions and the average amount invested in these stocks was $940 million. That figure was $293 million in ITW’s case. Zoetis Inc (NYSE:ZTS) is the most popular stock in this table. On the other hand ING Groep N.V. (NYSE:ING) is the least popular one with only 7 bullish hedge fund positions. Illinois Tool Works Inc. (NYSE:ITW) is not the most popular stock in this group but hedge fund interest is still above average. This is a slightly positive signal but we’d rather spend our time researching stocks that hedge funds are piling on. Our calculations showed that top 15 most popular stocks among hedge funds returned 19.7% through March 15th and outperformed the S&P 500 ETF (SPY) by 6.6 percentage points. Unfortunately ITW wasn’t in this group. Hedge funds that bet on ITW were disappointed as the stock returned 13.0% and slightly underperformed the market. If you are interested in investing in large cap stocks, you should check out the top 15 hedge fund stocks as 13 of these outperformed the market. Were Hedge Funds Right About Buying Costco Wholesale Corporation (COST)? Were Hedge Funds Right About Buying United Technologies Corporation (UTX)? Were Hedge Funds Right About Dumping Twenty-First Century Fox Inc (FOX)? Hedge Funds Have Never Been This Bullish On Thermo Fisher Scientific Inc. (... Do Hedge Funds Love Diageo plc (DEO)? Itau Unibanco Holding SA (ITUB): Are Hedge Funds Right About This Stock?